I have just returned from a personal vacation expedition to the European high Arctic, starting in Longyearbyen, Svalbard and ending in Iceland via the East Coast of Greenland. 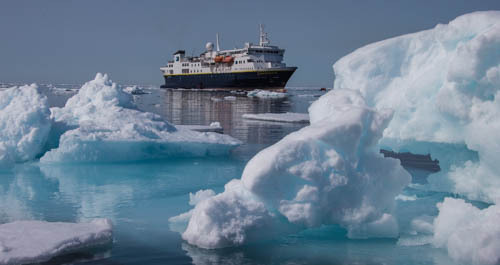 The trip was on the National Geographic Explorer, a 148-passenger expedition class vessel with ice strengthening. It was an extraordinary trip and many aspects of it offered opportunities to reflect on the big issues of energy transition and climate change. 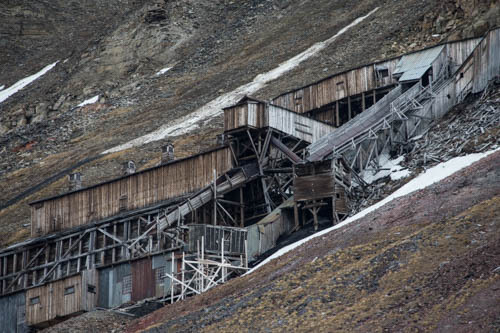 This started in Longyearbyen itself, where it turns out that in the country of hydro electricity (Norway) this small town runs on coal, mined locally. 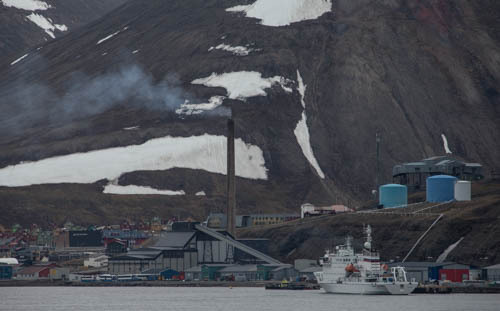 Svalbard even exports coal, although some of the original mines have long been abandoned. Perhaps in this land of vast glaciers and freezing temperatures hydro isn’t practical, but there wasn’t a wind turbine to be seen either. Wind seems like an obvious contender here but even in the Arctic days of dead calm are possible; we experienced this for nearly two full days in the middle of the Greenland Sea. Of course solar is a non-starter with months of darkness. Powering such a location with dependable 24/7 electricity seems to come down to coal. Equally surprising was that some remote northern towns we visited in Iceland were powered by diesel generator, not geothermal. It doesn’t require much travel in Svalbard to come across magnificent glaciers, but even here there were signs of change. 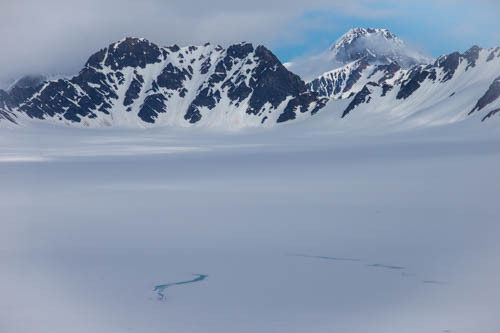 Most of the glaciers we saw appeared stable, but one in particular was retreating rapidly and the early summer was already revealing large melt water streams on its surface. 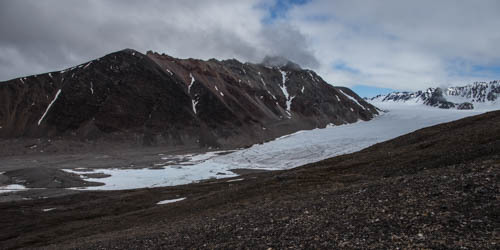 The retreat was clearly visible, with the slow moving foliage line marking the original and fairly recent (in glacial terms) position of the glacier. Similarly in Iceland, all but one of that nation’s glaciers are reportedly in retreat. Observable rapid change in one Svalbard glacier isn’t sufficient evidence to reach a conclusion on the state of the Arctic, but it was interesting to see nevertheless. There was also an indication of change in the permafrost, although once again this was limited to a specific observation in one of the handful of locations we visited. 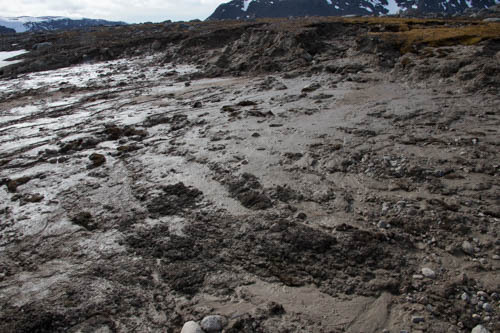 Close to a site where we had come face to face with several curious walruses, the soft thawing ground had collapsed into the sea as a river of mud. This might well be a regular event, but if that were the case it was hard to see how the landscape had survived for such a long period. Climate change was a constant topic of conversation on the ship, in part because there was a talk on the subject, further due to the link with National Geographic but also because of where we were. Being a relatively small ship it didn’t take long for most people to know of my link with the issue, so my vacation was filled with dinner discussions about carbon pricing (given the significant number of Australians on the passenger list), renewable energy and climate science. This wasn’t always easy, with a few of the American travellers arguing from the standpoint of information they heard on certain talk radio shows. But it was always interesting and I enjoyed the sparring on the issue. It was also very apparent that National Geographic travellers are deeply interested in the subject and for the most part, very well informed. The wildlife was a highlight, but here again there was an interesting sign of change. 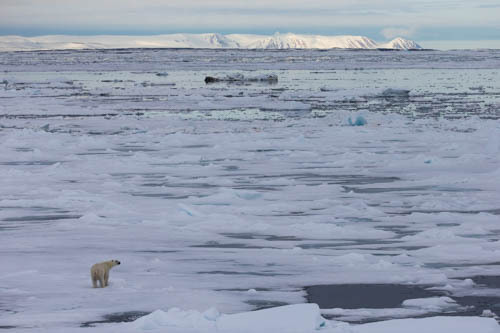 We had two excellent encounters with wandering polar bears, scouring the ice edge for their next meal, and one sobering encounter with the remains of such a meal. 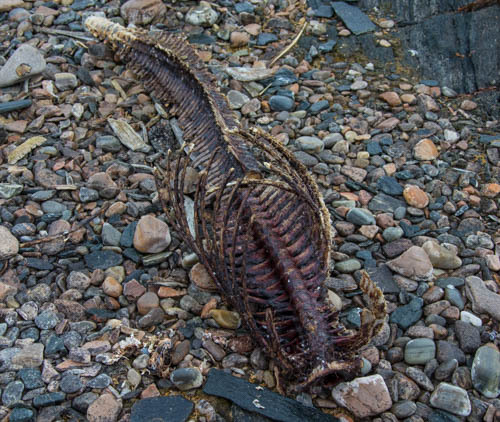 This would normally be the carcass of a seal, but in this instance it was the remnants of a white beaked dolphin, a new phenomenon that has only very recently been observed in the high latitudes. 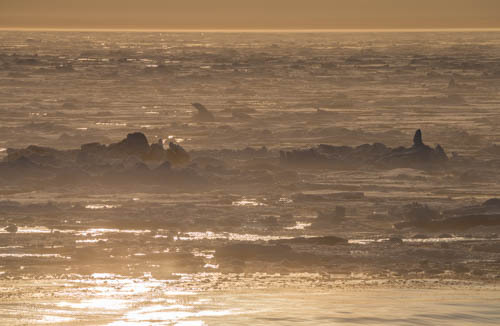 These dolphins aren’t normally found in this area in spring when the pack ice is still widespread and therefore may have become trapped in shifting ice. They then become prey to the region’s most effective predator, the polar bear. 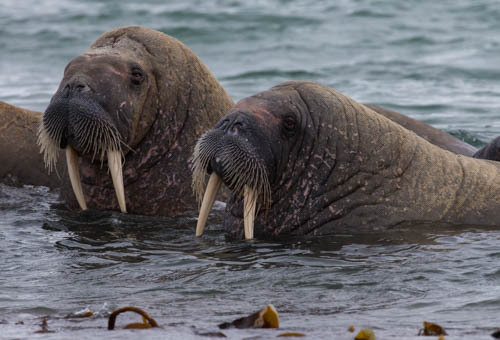 The current view on this is that warmer waters may be encouraging the creatures to move north earlier in the year, therefore exposing them to this new and more dangerous environment. But there is one constant in this part of the world and that is ice. Lots of ice. Although there is clear satellite evidence of ice loss from Greenland and declining sea ice in the Arctic Ocean, the ice nevertheless got the best of us. The trip included a passage through the Greenland Sea with one or more stops in Greenland itself, but the latter wasn’t to be. Thick multi-year sea ice kept us some 80 miles from the Greenland coast and no landing was possible. 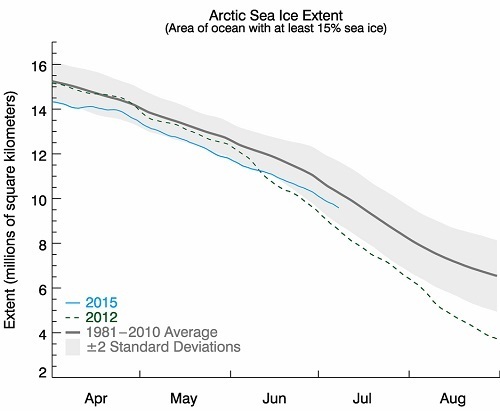 Although the ship is ice strengthened it is not an icebreaker, so we were defeated in a year when the ice cover was tracking below the 2012 minimum, at least until mid-June for the Arctic as a whole. The ice provided a wealth of photographic opportunities, including one of the ship taken far out at sea from a zodiac, but in dead calm conditions. We did get a consolation prize for missing out on Greenland, a visit to Jan Mayan. 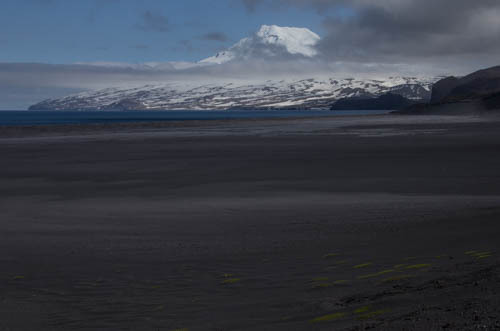 This is a tiny volcanic island in the middle of the Greenland Sea, but rising rapidly to over 2 kms the volcano itself was anything but small. Needless to say, it was spectacular. You can see a complete set of my pictures of this trip here. Nice story but statistics do not apply to individual events.